Copter flying over the lava field and wild horses on it. 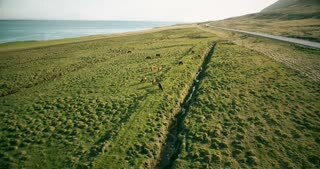 Aerial view of the ranch near the sea, on the shore in Iceland. 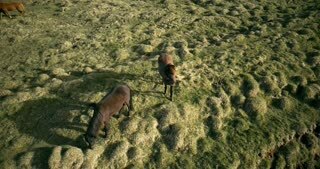 Copter flying over the two horses on the lava field in Iceland. Wild animals grazing on the green meadow. Copter filming the tourists having the photoshoot in the mountains. 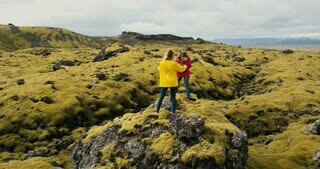 Two woman taking photo in lava field in Iceland. Copter flying around two woman on lava field in Iceland. Tourists with camera walking on the nature and taking photos. Photographer taking photo of the tourist woman in the mountains. 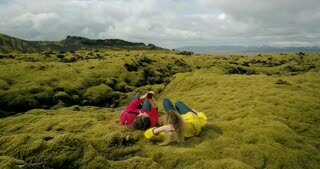 Girls having photoshoot in lava field in Iceland. Drone flying near the two woman on the top if the mountain and dancing together. 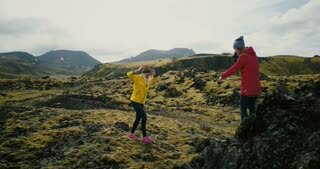 Tourists in the lava field in Iceland. Aerial view of the two woman in the lava field in Iceland raise hands. Happy tourists send air kiss to copter. Aerial view of two woman on lava field in Iceland. Copter flying around tourists taking selfie photo on smartphone. 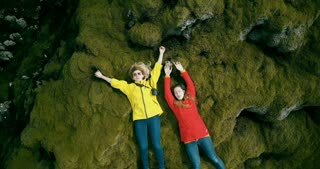 Aerial view of the two woman lying on the soft lava field in Iceland. Tourists taking selfie on the smartphone. Aerial view of two woman standing on the rock, hiking together. Copter flying around tourist in lava field in Iceland. Copter flying over the group of tourists hiking on the mountain. 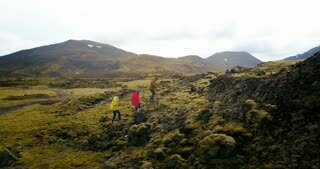 Friend walking in the lava fields in Iceland.